KIEV, April 10. /TASS/. Ukrainian President Pyotr Poroshenko will arrive at Kiev’s Olympiysky Stadium on Wednesday to once again provide samples for drug and alcohol tests, which will be conducted by the Voluntary Anti-Doping Association (VADA). VADA representatives have arrived in Ukraine at the invitation of former world heavyweight champion Wladimir Klitschko. “Ukrainian president and presidential candidate Pyotr Poroshenko will provide samples for another series of drug and alcohol tests at the Olympiysky Staduim after 16:00 [13:00 GMT] today,” Poroshenko’s campaign team chief Oleg Medvedev said at a briefing on Wednesday. He also called on the campaign team of Vladimir Zelensky, the second presidential contender in the April 21 runoff, to make their candidate understand “the importance of this procedure” so that he “turns to VADA experts.” Zelensky said earlier he had already gone through all necessary testing and wouldn’t do it again. Wladimir Klitschko, in turn, said that he had arranged VADA experts’ visit in order to dispel doubts concerning the results of previous tests. The Ukrainian presidential election was held on March 31. Leader of the Servant of the People political party Vladimir Zelensky is in the lead with 30.24% of the vote, followed by incumbent President Pyotr Poroshenko, who garnered 15.95%. Since none of the candidates managed to get more than 50% of the vote, the top two are headed towards a runoff scheduled to take place on April 21. Hey Buddy!, I found this information for you: "Ukrainian president to go through drug, alcohol tests once again". 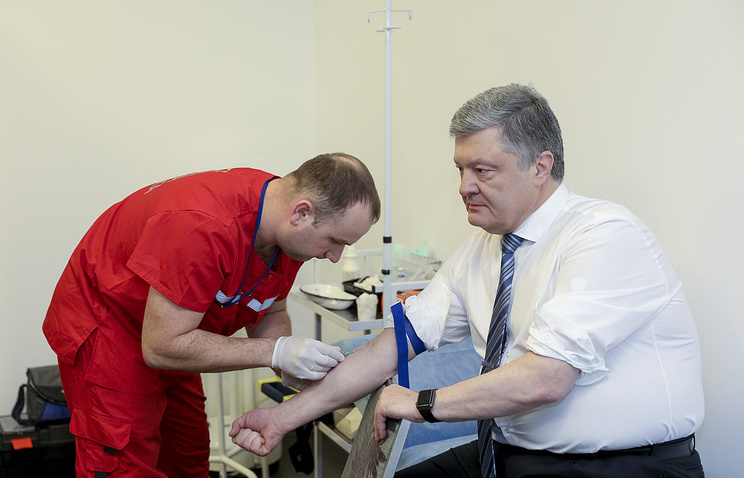 Here is the website link: https://russophile.org/ukrainian-president-to-go-through-drug-alcohol-tests-once-again/. Thank you.